The Revised Edition of The Immortal 2.9 is finally here! 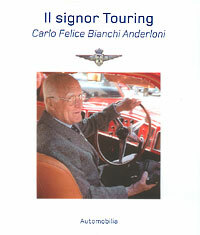 A new edition of this classic motoring book has been anxiously awaited by automotive enthusiasts for many years. 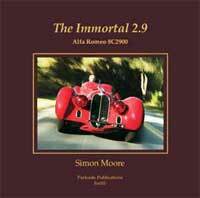 First published in 1986, the original edition became an instant classic and established Simon Moore as the world's foremost authority on the history of Alfa Romeo's famous pre-war eight-cylinder cars. The third book in Simon Moore’s Alfa Romeo trilogy is finally here! 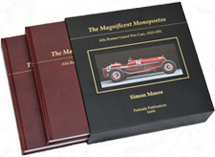 It presents the glorious history of all of Alfa’s Grand Prix racing cars from 1923 to 1951. As usual, Simon has used his phenomenal detective skills to trace the history of the individual cars, including those that were sold to private owners by the factory and Scuderia Ferrari. 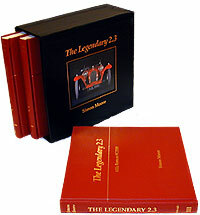 The Legendary 2.3 presents the history of the fabled Alfa Romeo 8C2300 sports and racing cars which dominated sports racing events in the early 1930s and are generally regarded as the finest sports cars produced during that period. Author Simon Moore, the ultimate authority on vintage Alfa Romeo cars, reviews the history of each of the 188 cars in great detail. 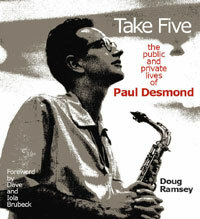 The print version of Take Five is sold out. The E-book version is available from Amazon for only $15.